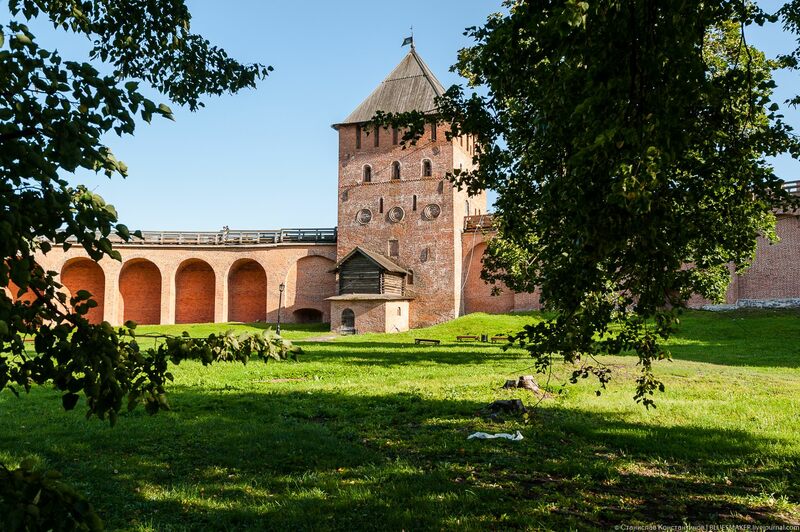 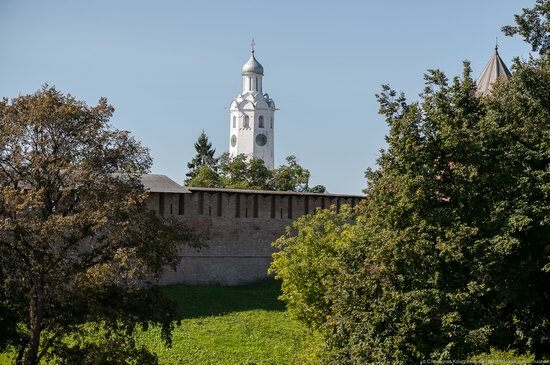 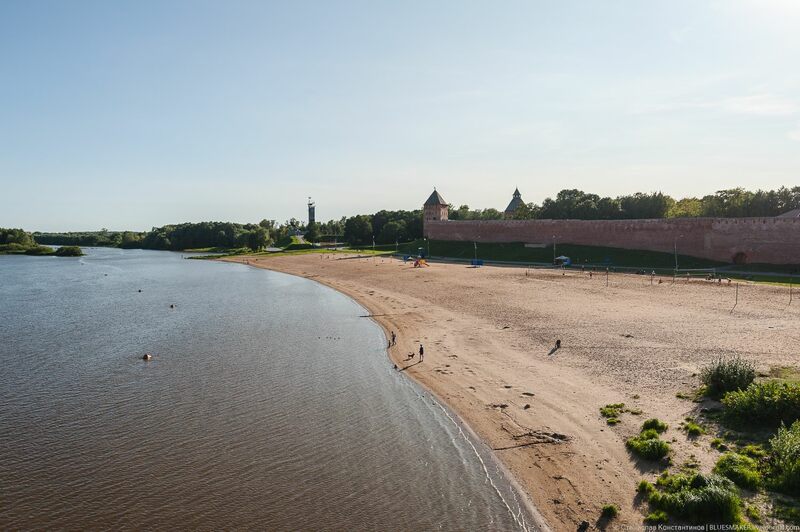 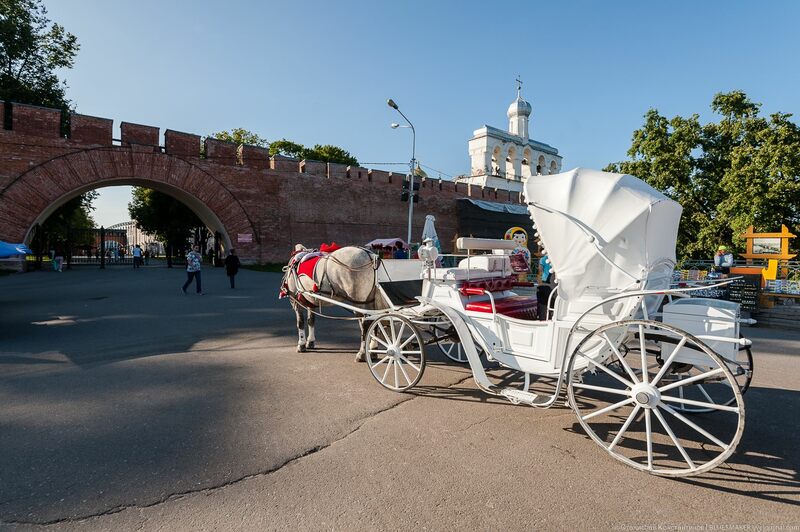 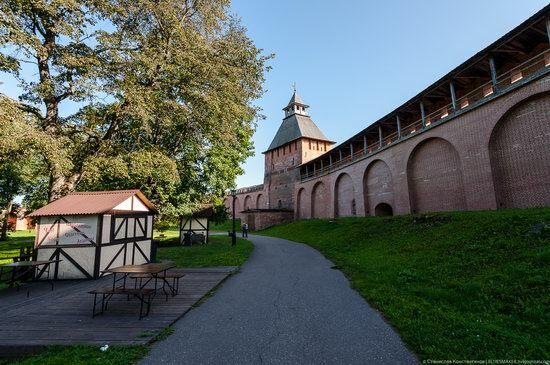 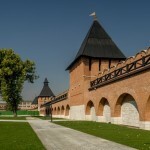 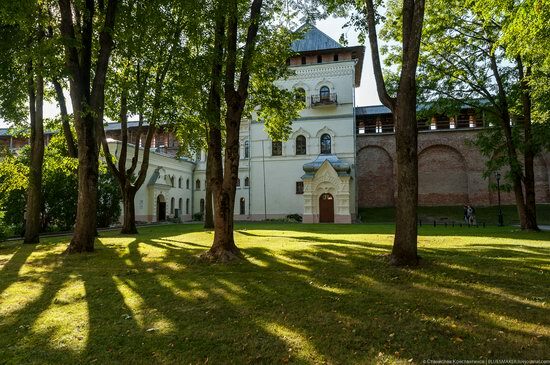 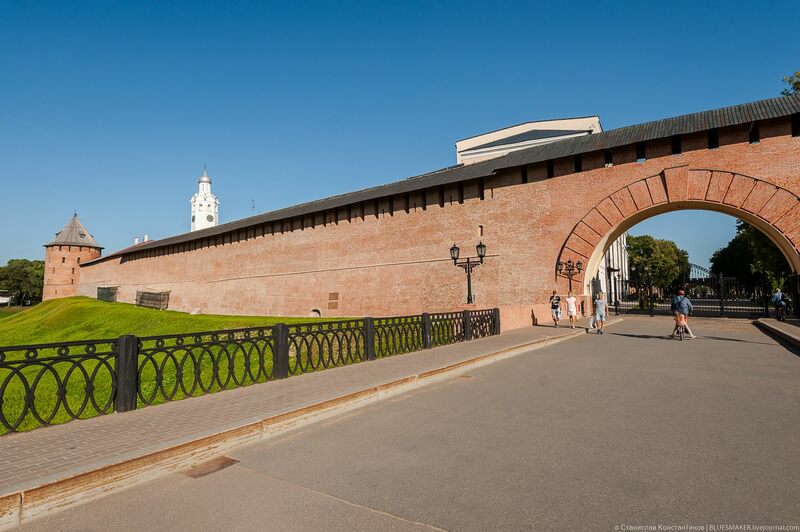 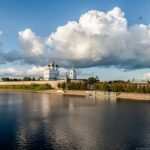 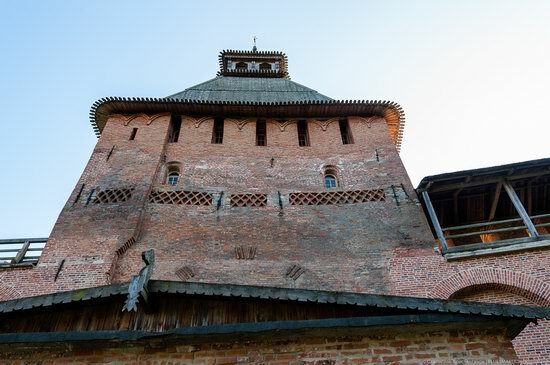 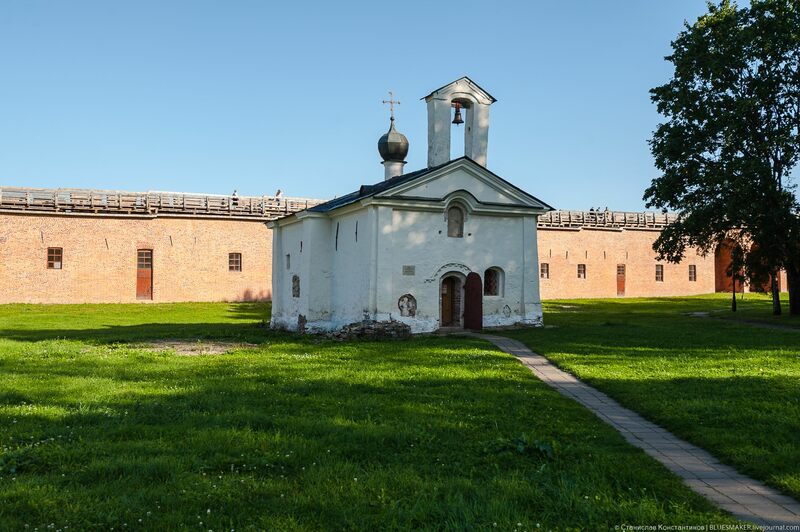 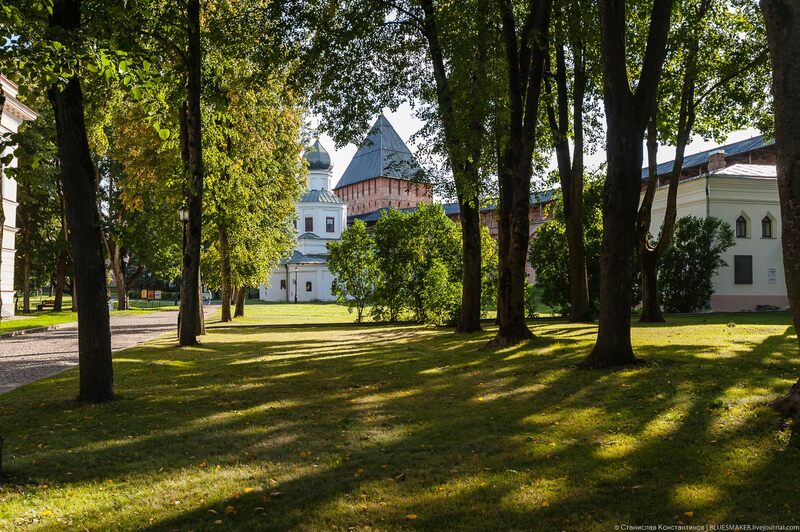 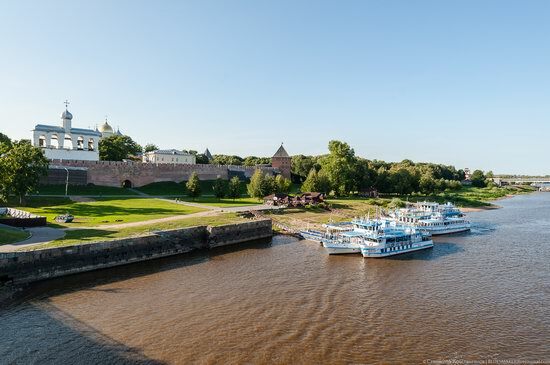 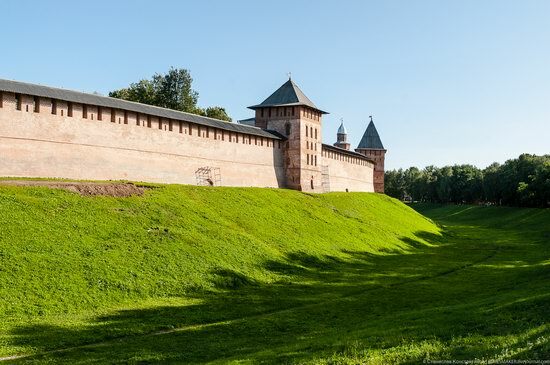 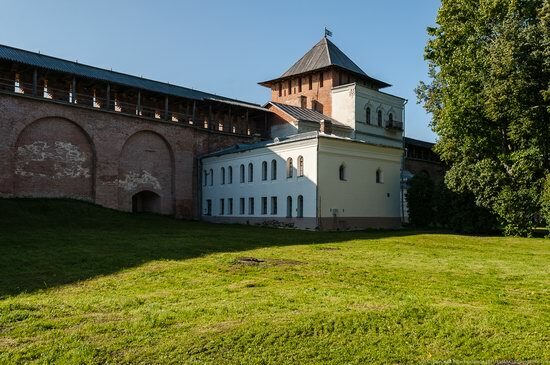 The height of the brick walls of the Novgorod Kremlin ranges from 8 to 15 meters, the thickness of the walls – 3.6-6.5 meters, 9 of 12 towers with a height of up to 41 meters are preserved. 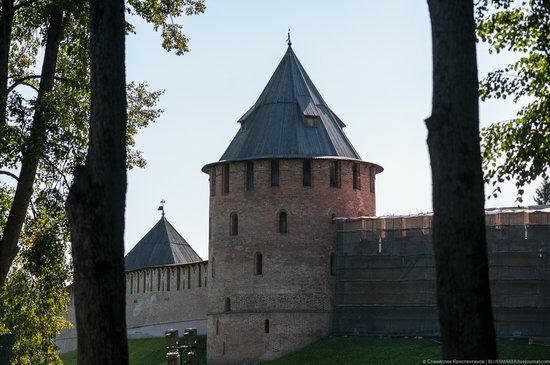 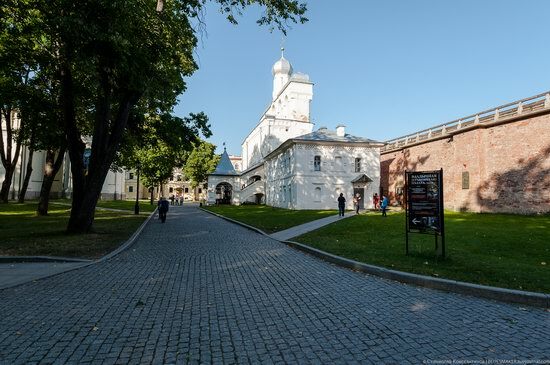 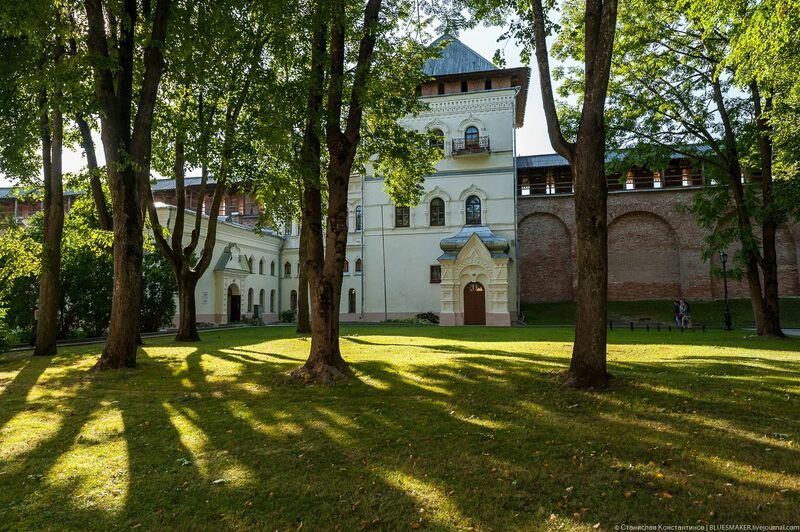 Entrance to the Kremlin of Veliky Novgorod. The tallest tower of the Kremlin. 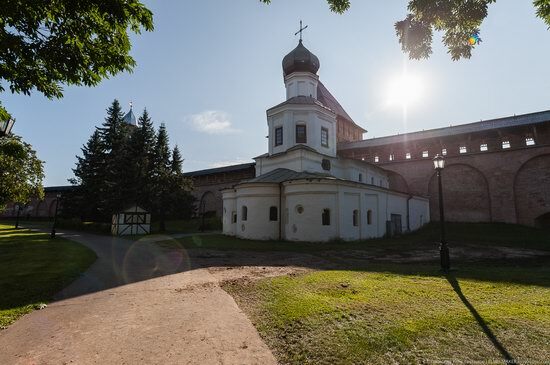 Andrei Stratelates Church built in the 15th-17th centuries. 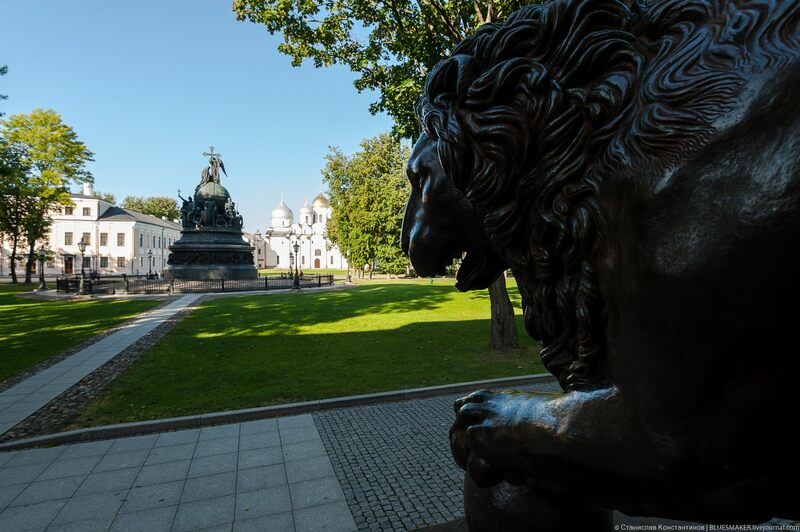 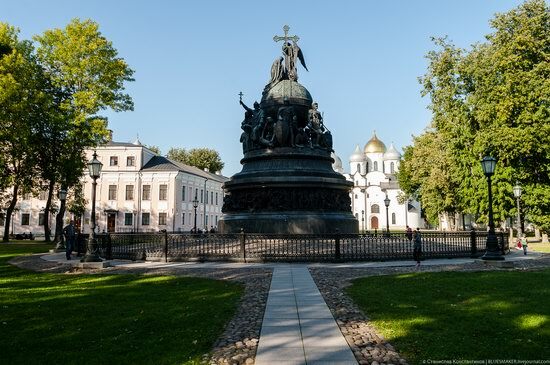 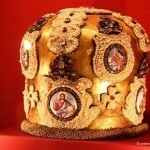 The main monument of the Novgorod Kremlin – “The Millennium of Russia”. 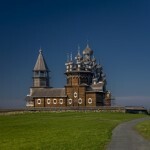 It was opened in September 1862. 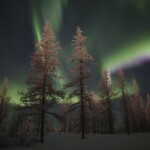 In 862, according to “The Tale of Bygone Years”, the Vikings came to the Russian lands and began to rule there. 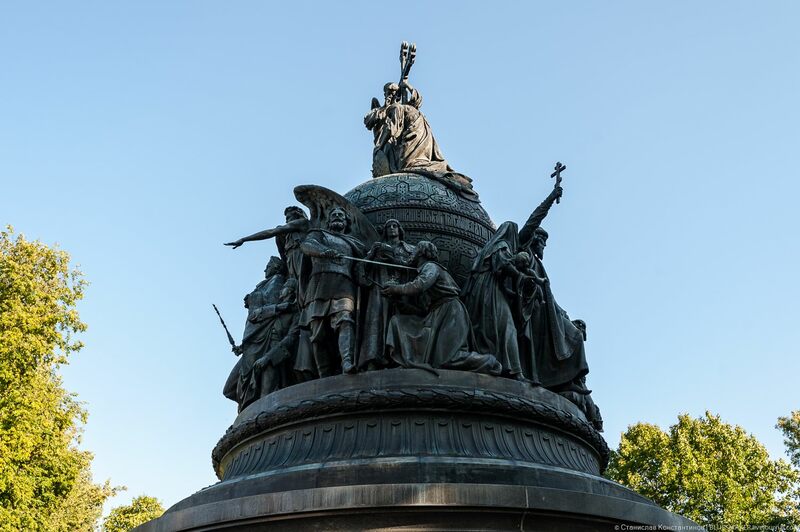 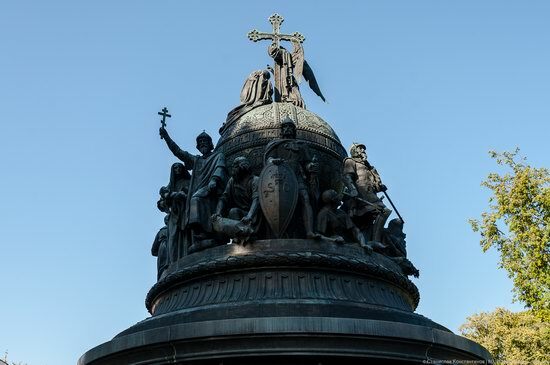 Not only the rulers of Russia are depicted on the monument, but also enlighteners (mainly church leaders), state people, heroes of wars, commanders, etc. In total, there are 129 figures on the monument. 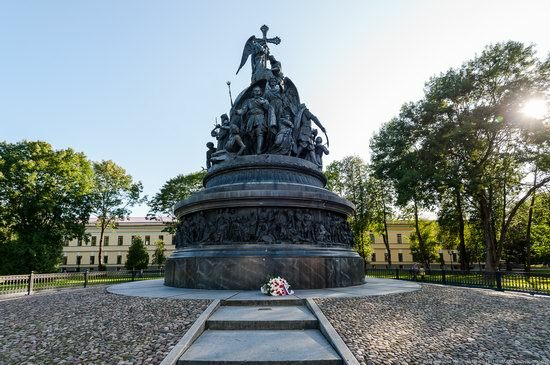 But the monument lacks such a famous Tsar as Ivan the Terrible as “punishment” for his ambiguous rule and the Time of Troubles that followed it. 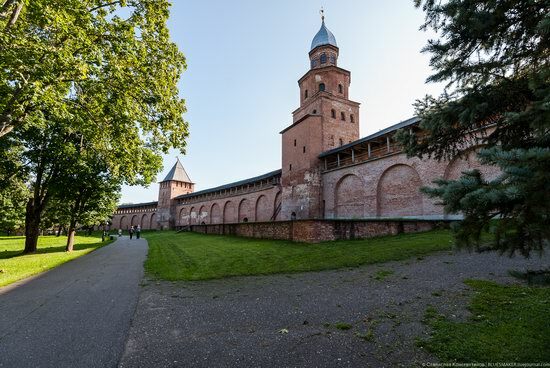 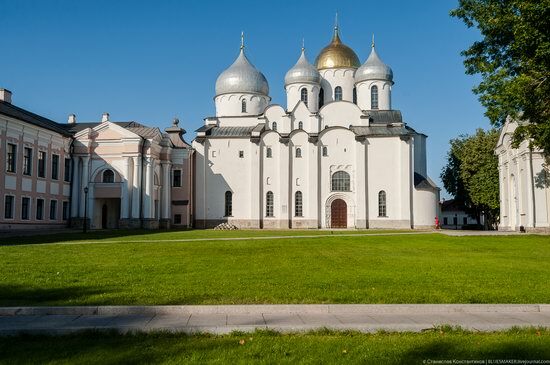 St. Sophia Cathedral (1045-1050) – the main cathedral of Veliky Novgorod. Belfry of St. Sophia Cathedral. 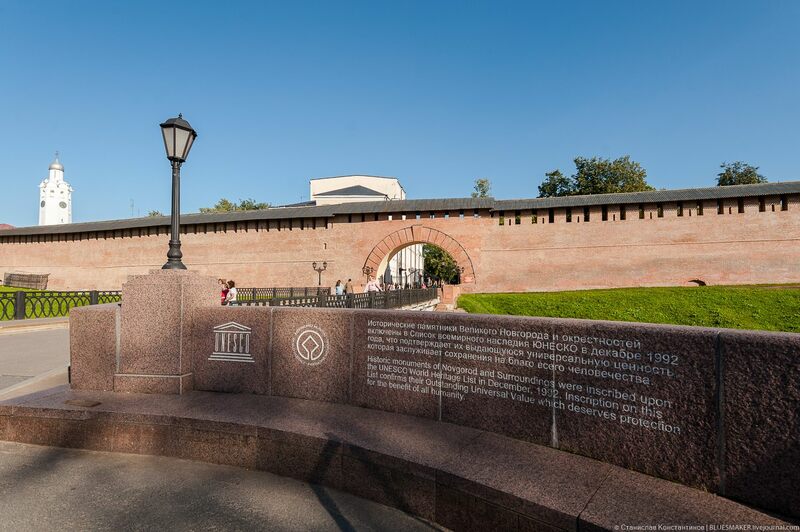 Entertainment for tourists at another entrance.